Great for Old School Metal, Garage, Thrash Punk etc. Get aggressive tone with less noise. 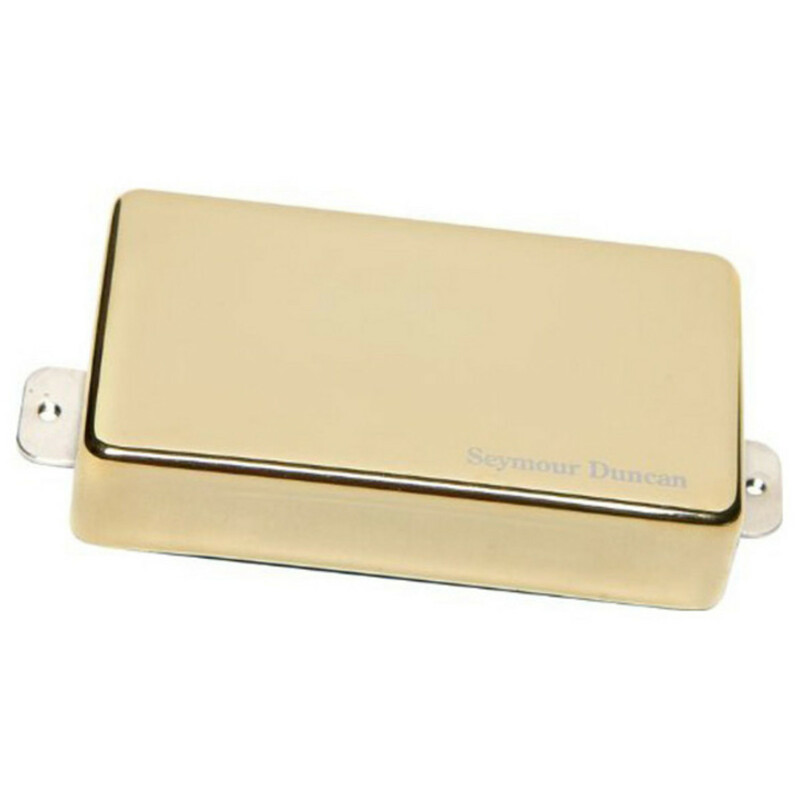 The AHB-1 Bridge pickup is a 9-volt active humbucker from legendary manufacturer, Seymour Duncan. This pickup comes in gold. If you love aggressive playing styles and genres like old school metal, garage, thrash punk, drop tunings, and other heavy rock styles, the Blackouts AHB-1 may just be your thing. The Seymour Duncan Blackouts AHB-1 Bridge pickup, Gold, is a 9-volt active humbucker which boasts balanced outputs as opposed to some others who use unbalanced inputs in a differential preamp. The latter method doesn't seem to cancel hum effectively, but the Blackouts AHB-1 creates a tone of an active design, with balanced inputs, thanks to engineer findings. Expect 12dB to 14dB less noise and more tone, with more lows, more highs, and more output. The Blackouts AHB-1 is also available in a neck model here on Gear4music.com or as a two-pickup set. As with all versions of the AHB-1, this bridge pickup comes with the necessary mounting hardware, including pots, jack, and a battery clip. The AHB-1 works great with all humbucker guitars and the blade magnets make this pickup suitable for both humbucker and Trembucker string spacings.